At a device launch event, the device in question is supposed to be the highlight of the evening. But, at the Pixel 3 launch event, things were the exact opposite, mostly due to the slew of leaks and pre-release ‘reviews’ that ruined Google’s big surprise. Thankfully, Google ran through some of the new features coming to Assistant on Pixel phones which made up for the otherwise lacklustre hardware they rolled out. Here are three new features we can expect Pixels to get before the year ends. The Pixel 3’s call screening feature is coming to second-generation Pixels in November. Using the same AI technology as Google Duplex, the Assistant can answer a call for you, find out who’s on the line, and show you a written transcript of the whole conversation on your screen. This allows you to pick up the phone and carry on the conversation or hang up in the case of spam. You might annoy some people though. Not everyone likes to talk to a bot when they’re expecting an actual person to answer. 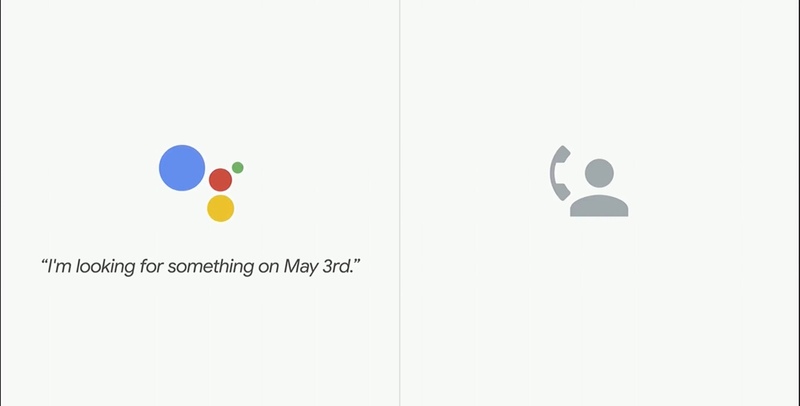 Google first showed off its Duplex AI tech back at I/O in May. We knew little about it, other than the fact that Google is working on it and it will be rolled out in select areas before the year ends. At the Pixel 3 event, it was announced that this feature would go live in November. Google’s wording is slightly ambiguous, but it would appear that all three generations of Pixel phones will be getting Duplex booking capabilities, but only in New York, Atlanta, Phoenix, and the San Francisco Bay Area. The Google Assistant, despite its merits, is practically useless if your phone is locked. It can be a pain if you want to ask it something quick while you’ve not got your hands free. Thankfully, a new option exclusive to the Pixel 3 will allow you to interact with the Assistant without unlocking. The new setting promises to give you some extra Assistant functionality with your phone remaining locked. Duplex might look good on paper but there’s no way it’ll be as fluid as it’s Google I/O version. Unlike the Assistant and Lens, Duplex involves way more unknowns and we’re not sure if even Google’s machine learning sorcery can help fill all the holes. It’ll still nice to see, though. We can expect YouTube to be full of ‘top 10 Duplex fails’ before we know it.